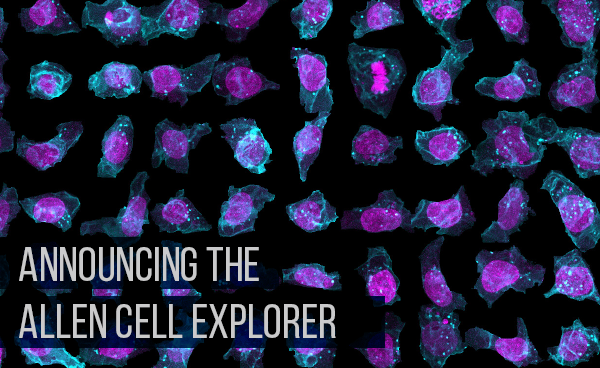 The Allen Institute for Cell Science announces the launch of the Allen Cell Explorer: a one-of-a-kind portal and dynamic digital window into the human cell. The website combines large-scale 3D imaging data, application of deep learning to create predictive models of cell organization, new gene-edited human stem cell lines and a growing suite of powerful analysis and visualization tools. The Allen Cell Explorer will be the platform for these and future publicly available resources created and shared by the Allen Institute for Cell Science. 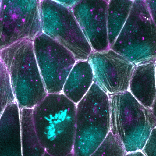 Six new fluroescently tagged hiPSC lines have been added to the Allen Cell Collection, available through the Coriell Cell Repository. The additions include beta-actin (labeling actin filaments), non-muscle myosin heavy chain 11B (actomyosin bundles), ZO-1 (tight junctions), Sec61-beta (endoplasmic reticulum), fibrillarin (nucleolus) and AAVS1 (cytoplasm). Learn more about these lines and the entire collection on our new Cell Catalog as part of the Allen Cell Explorer. 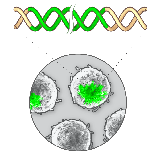 We have published a collection of 10 plasmids used to create our gene edited cell lines, which are now available through Addgene as the Allen Plasmid Collection. The plasmids can be used in many different human cell types, and we also provide guidance on how to make your own gene-tagging constructs using our methods. 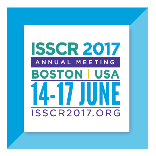 Visit the Allen Institute for Cell Science at the International Society for Stem Cell Research annual meeting, held this year in Boston on June 16-19, 2017.